Following recentnews that T-Mobile has struck a deal with Apple (finally) to officially provide the iPhone on the T-Mobile network, it is reported that the iPhone 5 will be the cheapest anywhere. 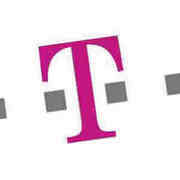 – Unlimited data:T-Mobile offers worry-free, unlimited nationwide data. – Cost Savings:Customers with unlocked iPhones can save $50/month compared to AT&T*. – Nationwide coverage that’s only getting better:T-Mobile’s voice network reaches 96% of all Americans, and later this year, as we transform our network, introducing 4G (HSPA+) service in our iPhone-compatible spectrum, these unlocked iPhones will get a significant speed boost where these improvements are available. Boasting these great features for customers with unlocked iPhones is good, but it doesn’t help those that cannot afford the outright cost of an unlocked iPhone and instead rely on a subsidised plan through a carrier. That’s why the recent news about Apple and T-Mobile reaching an agreement to sell the iPhone officially will be so well received. Now not only can you get a subsidised iPhone, but the iPhone 5 in particular will reportedly be the cheapest available. T-Mobile aren’t just stopping there, they are boasting their enhanced 4G HSPA+ network already covers over 100 million customers in 23 places such as Chicago, Reno, Sacramento, Fresno, and parts of Southern California. T-Mobile’s LTE rollout is expected to cover a further 100 million by mid-2013, which should be just in time for the iPhone 5 (or perhaps iPhone 5s) release. If T-Mobile continues to offer its $30 “Unlimited Web & Text with 100 Minutes” plan, that may make T-Mobile’s iPhone the cheapest one out there — even if it costs hundreds of dollars more up front than on AT&T. It is these cheaper tariffs and ‘enhanced services’ that T-Mobile is hoping will lure customers off the bigger carriers and onto T-Mobile’s network. T-Mobile offers the cheapest iPhone 5 service right now (with an Unlocked iPhone 5), and if the “Apple products” T-Mobile is getting next year include the iPhone 5, then T-Mobile customers may see even better subsidised offerings coming their way in the near future.